Organizations that help publicize this event are listed here. Please click on the logos below to learn more about their important work. These groups, too, believe in the power of globally connected learning. If your organization can help promote Global Collaboration Week to a large network, we can list you as an outreach partner. Email Lucy Gray and include a short note with details on how you can share information about Global Collaboration. Additional promotional opportunities are available to sponsors. Please email Steve Hargadon for more information. The Center for Global Education works with schools and districts to support global competence professional learning goals through coaching (virtual and in-person), workshops, online courses, conferences, and curriculum support. Our work incorporates best practice deeper learning strategies and is a powerful model for approaching increasing diversity in classrooms with an asset-based lens. We have a network of schools across the country using this approach and we look forward to talking with you about your goals and ways to partner! The California International Studies Project promotes global education through high quality, standards-based, and interdisciplinary professional learning programs for educators in California. CISP collaborates with teachers, schools, districts, and education partners committed to developing global competence, which includes curiosity, creativity, empathy, integrity, and active citizenship, with PK-12 students. CILC has been a clearinghouse between educators and content providers for 23 years. We link educators to interactive programming from museums, science centers, art galleries and historical sites from around the world. Our mission is to support, advance and enhance lifelong learning through the use of collaborative technologies and innovations. Digital Promise Global is a leader in education innovation, and a close partner of Digital Promise (National Center for Research in Advanced Information and Digital Technologies) which was authorized by the U.S. Congress to spur innovation in education to advance opportunities for all Americans to learn. Digital Promise Global adopts this mission internationally, and our global programs engage educators to empower young people as empathetic, compassionate creators and changemakers. In particular, we use digital storytelling and maker learning as a basis for virtual exchanges in which youth share their perspectives and experiences, offer feedback on each other’s media, and document their learning. Our existing programs engage over 5000 youth and 150 schools globally. Empatico is a free online tool for teachers to connect their classrooms with others around the world. Empatico allows teachers and students to virtually meet and interact using seamless video conferencing technology and fun, easy activities designed by educators. We're launching Empatico this fall and are excited to share more about the product and the methodology behind it. Please check out our video, leave us a note, or join the live chat to learn how you can introduce your students to the world - no passport needed. Visit www.empatico.org to learn more. Global Online Academy is a consortium of leading independent schools from around the world. Our mission is to reimagine learning to empower students and educators to thrive in a globally networked society. Our student program of small, interactive online courses allows schools to expand what they can offer, helping students test their passions and interests in ways typically unavailable on a single campus. Our professional learning program offers courses and customized partnerships to educators and schools, bringing all we know about best practices in learning design, student-driven experiences, and innovation to brick-and-mortar schools. The Global STEM Education Center, Inc 501(c) (3) non-profit corporation brings together K-12 and institutions of higher education, as well as business and industry partners, policy makers and researchers, to contribute to developing the 21st century global workforce. Our programs enable the next generation workforce to be effective in and with other countries/cultures in solving the problems urgently confronting the world’s populations and working successfully across global cultural differences. Our programs engage students from elementary school through higher education in authentic international science, engineering and technology (STEM) learning experiences. iEARN-USA is a global education organization that provides various pathways for educators and students to connect and learn with their international peers. Our approach to global education includes online collaboration through iEARN projects, professional development and global networking opportunities, and sponsored programs for educators and students to connect and learn with the world. IREX is a nonprofit organization that builds a more just, prosperous, and inclusive world by empowering youth, cultivating leaders, strengthening institutions, and extending access to quality education and information. Through the Teacher Exchange Programs, IREX works with teachers in the U.S. and around the world to lead the development of global competency and 21st century skills in their classrooms, schools, and communities. IVECA provides a virtual learning environment that enables students in different cultures and countries to study together subject matters and socialize globally within the program. Know My World is a global education resource that coaches teachers in digital shared learning experiences with classrooms all over the globe. Through social, emotional, cultural and academic learning, Know My World offers a variety of programs and professional development opportunities to bring global education into your community. NEXT.cc is an informal E-Learning Designopedia that introduces what design is, what it does and why it is important in the K12 classroom for our future leaders. STEAM by DESIGN connects dynamic creative processes combined with STEM practices as drivers of 21st century innovation. STEAM by DESIGN scaffolds design-based learning building subject matter mastery and developing meta-cognitive skills that encourage life long learning in students and teachers. NEXT.cc journeys activate investigative projects in the built and natural worlds online, in the classroom, on the school yard and in the community. Each journey offers integrated activities for collaboration, critical thinking, communication, and creative proposition making. Set to NEXT Generation Science Standards K-2, 3-5 and 6-8, NEXT.cc introduces cross cutting concepts that integrate learning with contemporary making and careers of possibility. Tell the stories of service efforts in your community with a short video! What you create could help an organization gather new support and volunteers, and you can learn how valuable storytelling and digital media skills can be for helping others. We have designed a global character education program that aims to prepare youth for a rapidly globalizing, technology driven world. OneWorld Classrooms builds bridges of friendship and learning between global K-12 classrooms through art and technology. We do this through our K-12 Global Art Exchange and Classroom Conversations with the World programs. Through the K-12 Global Art Exchange, classes physically or digitally exchange original student artwork with their global peers, then optionally complete follow-up VoiceThread conversations about the art with a partner class. Through Classroom Conversations with the World, partner classes in different world regions conduct a multimedia conversation about a curricular theme via VoiceThread. SIMA Classroom is a groundbreaking media platform for global education that features over 100 of the best social-issue films from the annual Social Impact Media Awards (SIMA). This is a diverse and expansive “Netflix for educators”. You not only have access to a growing collection of contemporary current-affairs documentaries, the participatory lesson plans and engagement resources bring the films to life in your classroom. SIMA Classroom takes students beyond academic walls and equips them with the skills, global mindsets, and cultural competence required in our ever-changing world. Our films teach human-rights and sustainable development goals through inspiring and character-driven stories, which give students a first-person insight into the pulse, the people, and the movements behind today’s global issues. 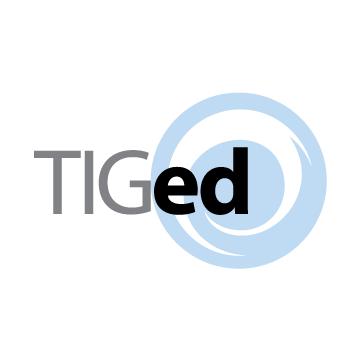 TakingITGlobal for Educators (TIGed) empowers classrooms to understand and act collaboratively on the world's greatest challenges. We do this by supporting educators to utilize technology to create transformative learning experiences for their students. Through this work, classrooms everywhere become actively engaged and connected in shaping a more inclusive, peaceful, and sustainable world. We offer a community of globally minded educators in over 125 countries who are interested in developing and collaborating on international learning projects, and provide a safe, customizable and advertising-free virtual classroom platform designed to support international collaborations through the use of digital media tools. We have produced a growing database of issue-oriented, curriculum-linked global education resources, developed by teachers for teachers, that address a wide range of subject areas and grade levels. The MY HERO International Film Festival brings together filmmakers of all ages and levels of experience to honor the efforts of everyday heroes working to create social change. MY HERO International Film Festival Overview from The MY HERO Project on Vimeo. Through our Global Learning Fellowship, educators develop the knowledge and skills to integrate global competency into their daily classroom instruction, advocate for global competency in their schools and districts, and help students to thrive in our increasingly interconnected world. Fellows transform their classrooms to give students a global perspective. Global Learning Fellows participate in a 12-month professional development program that includes in-person workshops, online coursework, webinars by leading experts, peer learning, and an international field study experience. The Outreach Program at the Center for Latin American Studies provides various resources to help teachers integrate Latin America into their curriculum. Our resources vary from our Traveling Suitcases, the lending library, virtual guest visits, and more. World View is a public service program at the University of North Carolina at Chapel Hill. World View’s mission is to equip K-12 and community college educators with global knowledge, best practices and resources to prepare students for living in an interconnected and diverse world. We provide a range of programs and professional development experiences for educators, including the following: symposia focused on global issues and best practices in global education, seminars focused on specific areas of the world, global media workshops, global education leaders' institutes, year-round global professional development online or on-site and international global study visits to engage educators in authentic, experiential and rigorous professional development opportunities abroad. Write Our World is a young nonprofit organization based in Denver Colorado that promotes multicultural literacy and global citizenship through ebook authoring with youth worldwide. We are building an interactive digital library of bilingual ebooks created by children from around the world to serve as a resource for students everywhere. Currently, we feature 117 ebooks written by 382 students in 25 languages living in 4 different countries. Our innovative educational resource allows students to learn authentically from one another and deepen their connections to their heritage while building skills for their future. For the next few months, we will be offering our entire educational resource as a free beta test. We hope you'll join us, read from our library, publish books of your own, and let us know what you think so we might shape our resource to best meet the needs of students everywhere.